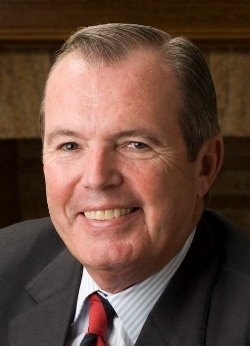 Thomas J. Swan, Jr., chairman of The Swan Group, died on March 5, 2011 in Palm Beach, Fla., after a long battle with several health problems. He leaves his wife, Carroll; son, Tom III (TJ); his brother Joseph E. Swan and family. Swan attended St Sebastian’s School, Harvard College and the University of Chicago Business School. He began his career at Emerson-Swan on Oct. 21, 1967, after leaving law school in order to assist his ailing father who needed his help in running the family business, manufacturers representative firm Emerson-Swan. Over the years his vision, along with the assistance of his brother, who joined the company two years later, set Emerson-Swan on a transformative and successful path. His vision, industry knowledge and unique ability to put people together led to the formation of The Swan Group, an international company involved in manufacturing and the distribution of plumbing, heating and well-water products. These companies — Flexcon, GWS, Skidmore, Vent-Rite Valve and Smith’s — do business in North America, South America, Europe and Asia, including approximately 90 countries. In addition to his involvement in overseeing the Swan Group as its chairman, Swan sat on many boards, including St Sebastian’s (past chairman), Wianno Club (past president), Board of Electrographic Corp. and Oxy-Dry Corp. He also was a board member of McLean Hospital and a member of the Corporation of Partners Healthcare System. He served on the University Resources Committee and the Advisory Committee on Shareholder Responsibility at Harvard University. Swan talked frequently to his brother during the last weeks of his life about his associates, customers and manufacturers, and how much he “respected and appreciated” all of the remarkable individuals he worked with during the past 44 years. His family, friends and associates will miss his leadership, vision, intellect, humor, caring, energy and friendship.